National Library receives all the newspapers published in the country since 1976 to the present day. This collection has attracted researchers and readers to the library. 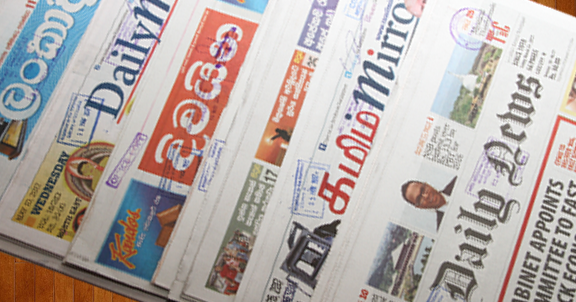 The present stock of newspapers contains a large number of titles out of the national newspaper titles in Sinhalese, Tamil and English. There are many children’s newspaper titles as well. This collection is arranged title alphabetical and according to chronological order. Newspaper collection is heavily used by the researches and other readers for research and reference purpose. In addition, collection of newspaper clippings of special articles and important news items appearing in newspapers are available for readers. This collection is arranged systematically by subjects with an index to each subject.